The Group of the Unified European Left is concerned about the detention of the Director of Amnesty International Turkey, Ms. Idil Eser, who has been arrested on June 6 along with 7 human rights defenders and 2 trainers who were attending a workshop in Istanbul by Turkish police. The Group of the Unified European Left is greatly concerned that suspicion of “membership of an armed terrorist organization” and other terrorist activities are being misused to intimidate human rights defenders, journalists and the opposition as it has not escaped the world’s notice that attacks on Human Rights defenders, journalists and Members of Parliament are becoming more frequent in Turkey. 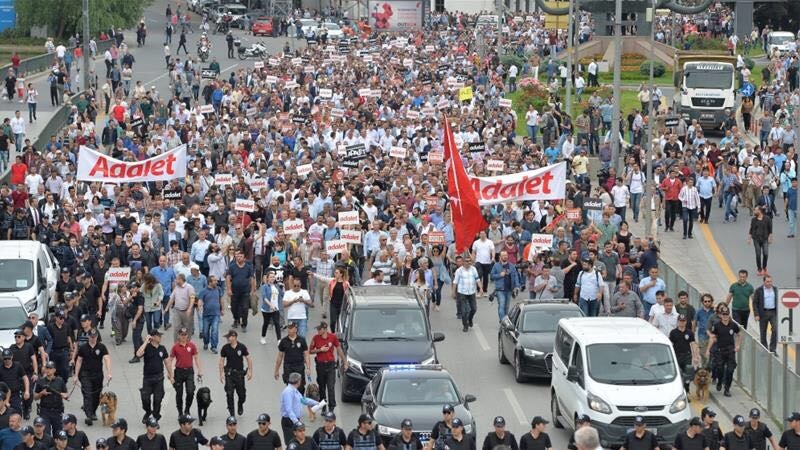 The recent protest marches from Ankara to Istanbul triggered by the conviction of the CHP Member of Parliament, Mr. Enis Berberoglu cannot be ignored as they signal exacerbating abuse of power in Turkey. Worth mentioning is also the worrying continuous situation of the imprisonment of a big part of HDP party members as well as the leadership of HDP; Mr. Selahattin Demirtaş and Ms. Figen Yüksekdağ. The Group of the Unified European Left therefore calls on the Turkish authorities to urgently release the 10 human rights defenders who have been arrested on June 6 and currently are being detained. It also reiterates its call for an immediate release of the HDP leadership and all those, who unjustly sit in prisons.